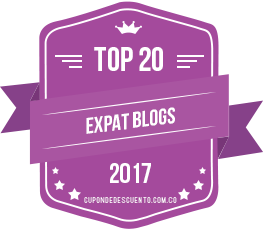 Things to Do | Barranquilla or Bust! Barranquilla is on the Caribbean Coast, after all. 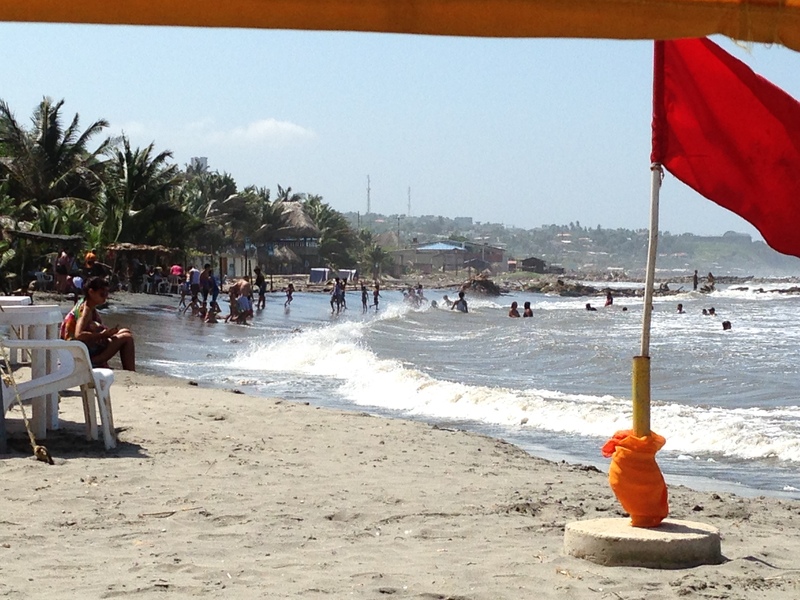 No need to drive all the way to Santa Marta or Cartagena to go to the beach. Hop a taxi or bus over to the Playas de Salgar (Beaches of Salgar), about a 15-minute ride from the northern part of Barranquilla toward Puerto Colombia. My favorite laid-back balneario, or bathing resort, is Villa Alcatraz. There, you can park yourself at a shaded table by the surf and enjoy some fantastic patacones (keep it simple on the food so as not to get overcharged for “fancy” stuff), a cold beer, and/or a fresh limonada. For those who prefer waves, this surf is for you. The view from our tarp-shaded table at Villa Alcatraz. For a more upscale experience, keep going to the outskirts of Puerto Colombia, where the Hotel Prado Mar offers up a chill South Beach-meets-Southeast Asia-type vibe. Lounge on giant cushions in your own waterfront cabana and enjoy delicious entrees like sea bass in passion fruit sauce. If you want to extend your daytime visit, I’ve been told that the adjoining night club will keep you entertained until the wee hours. While I haven’t yet been, I’ve also heard that Caño Dulce, considerably further down the road toward Cartagena, offers up wave-free beach tranquility. For adventuresome types, surfing, kite surfing, and windsurfing are all widely practiced in these parts, and lessons are available. Is the pool more your style? In Barranquilla, it’s almost always pool weather, and fortunately the city offers a large selection from which to choose. For a few US dollars, you can go to a pool at one of several Combarranquilla or Comfamiliar Atlántico facilities scattered throughout the city. (If you pay a little each month to affiliate with one of these entities, the price is discounted.) Our favorite locations so far are the Comfamiliar Country (in the Villa Country neighborhood) and the Comfamiliar Sede Norte. Both have a extensive kiddie pool areas complete with fountains, sprayers, and more, plus adult pools. Combarranquilla Boston has a lap pool for those wishing to exercise. 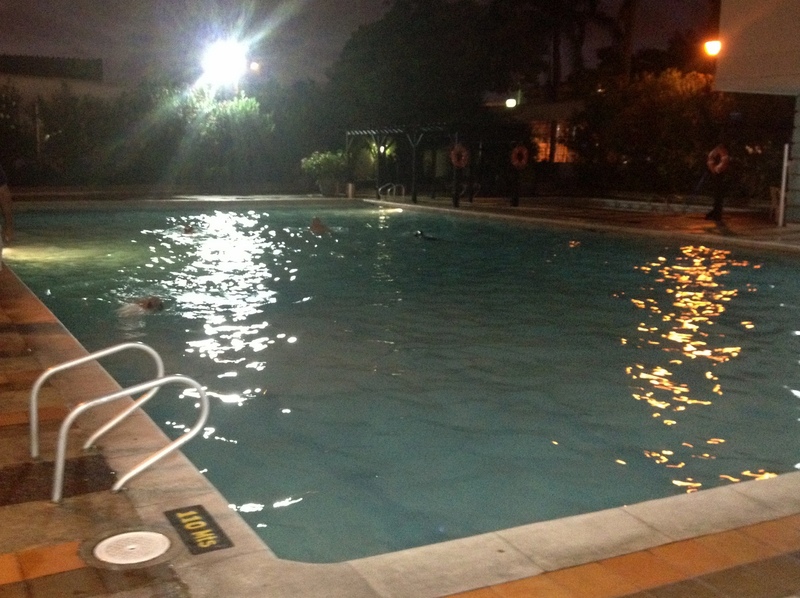 Swim some evening laps at Combarranquilla Boston. A list of Combarranquilla pool facilities is available here.These facilities also include very reasonably priced restaurants, making them a good family daytime outing. Don’t want to swim? Take a class or see a film! 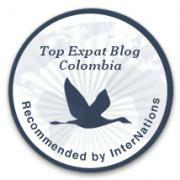 Combarranquilla and Comfamiliar are about much more than pools! They also include meeting spaces, movie rooms where Cinemateca del Caribe shows films for free, libraries for children and adults, a planetarium, football (soccer) fields, gyms and spas, ping pong, adult continuing education classes, and more. Combarranquilla Boston is old school cool and has a surprising array of resources and activities. Don’t rely on these facilities’ websites for all the info. Instead, stop by and ask for a newsletter with all the happenings. Combarranquilla Boston is unaffectedly hip in an Art Deco way. It hosts a ridiculous range of activities. Barranquilla’s Museo del Caribe will take you on an interactive tour of the indigenous cultures, natural resources, and history of Colombia’s Caribbean region. 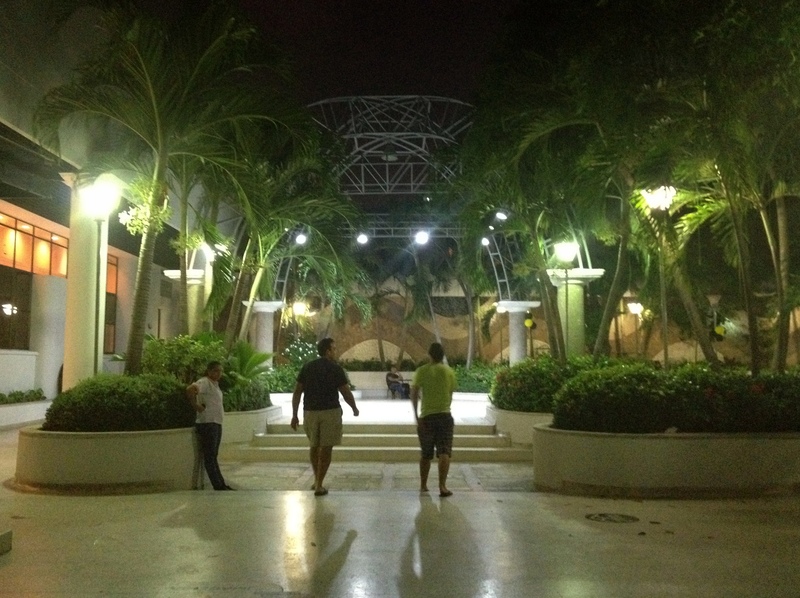 The Parque Cultural del Caribe (Cultural Park of the Caribbean) that surrounds the museum is also the site of frequent and free music and cultural events that are well-attended by folks from all over the city. 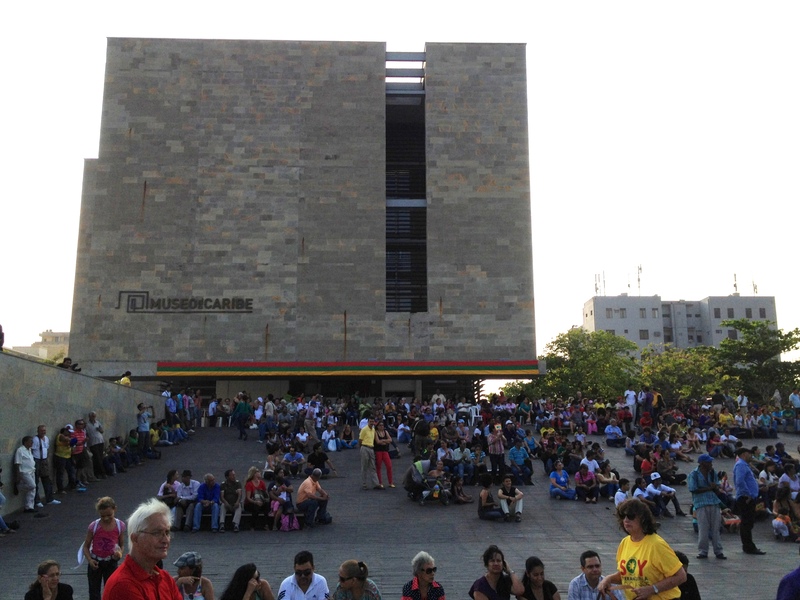 People gather outside the Museo del Caribe, in the Parque Cultural, for a free music event. What do you mean you haven’t been to a football game? Tu Papá — Junior — awaits! This is not something you want to miss. Trust me. Got kids? Take ’em to Parque Suri Salcedo. Let’s be honest. Barranquilla’s playgrounds are not usually all that. Some are okay; others are falling apart. (KaBOOM! we could really use some help down here.) But a major exception to this is Parque Suri Salcedo, whose recently installed playground equipment in the form of a big pirate ships will offer your little sailor guy or gal the opportunity for physical exercise plus fuel for the imagination. The park can get crowded on weekends, so go on a weekday if you can. Regardless, both you and your little one will be very happy that you sought this one out. 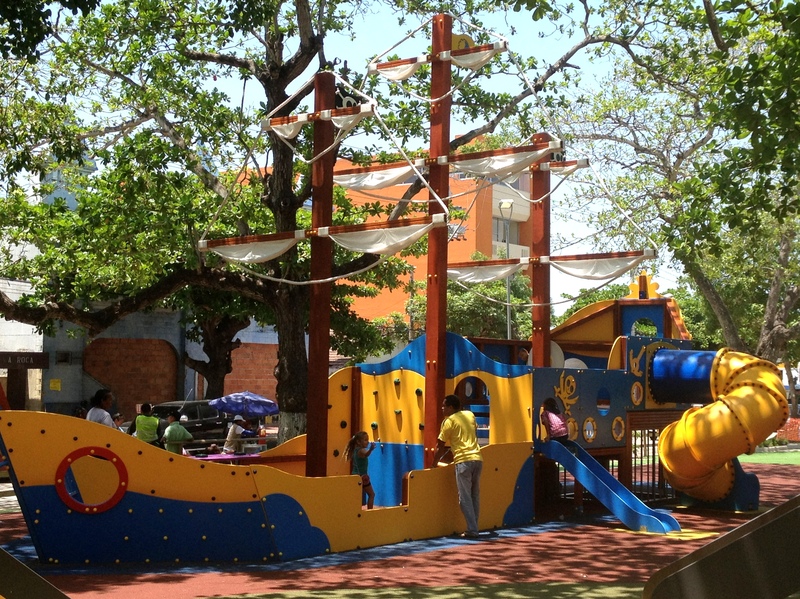 The newly renovated Parque Suri Salcedo will set your munchkin a-sail. Ahoy, matey! Take the old bicicleta out for a spin. Cycling is pretty popular around here, though I haven’t had a chance to avail myself of it yet. Big groups of adults young and old regularly gather at major parks like the Parque Electrificadora, from which they ride around town in the evenings or down the highway toward Puerto Colombia in the early hours on Saturday and Sunday mornings. The above list hardly scrapes the surface of all there is to do in Barranquilla, so be sure to add your go-to activities via the Comments section below. I and the rest of B.o.B. readers will thank you. Fun awaits! My husband and I are looking for for a place to ‘test drive’ for a few months before a possible move and are considering Barranquilla. We’ve been to colombia and loved it but think Barranquilla may have some things other areas don’t despite not being so ‘pretty’. Is it a reasonable option to live out at the beach and easily get into the city? Thanks for any ideas or advice you can send our way – finding reliable info isn’t easy!